A diagnosis of cancer in any loved one is always heartbreaking and our pets are no exception. When discussing the possibility of cancer in one of my patients I will often hear owners say, “I didn’t know dogs could get cancer.” Unfortunately they can and it happens all too often, one in four dogs over the age of two will be diagnosed with some type of cancer. 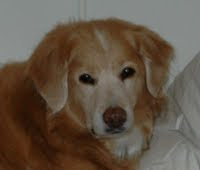 Now that you know it is possible for your beloved pet to be afflicted with cancer what can you do about it? It is impossible to prevent cancer from occurring but you can take steps to catch any abnormalities as soon as possible. You should check your dog or cat frequently for any new lumps or bumps that might appear. If you come across something make a note of its size and texture so you can discuss it with your veterinarian at your next visit. Each new discovery doesn’t necessary require a trip to the vet but any masses that are growing, changing quickly, developing an ulcerate area or draining should be checked out as soon as possible. To evaluate a mass within or under the skin your vet can perform what is called a fine needle aspirate. This quick and fairly painless test consists of sticking a needle into the mass to obtain a few cells that can then be evaluated under a microscope. More often than not the mass will be a harmless lesion called a lipoma. This benign mass consisting of fat cells should not cause any problems for your pet. Even though most skin masses are lipomas, each and every one should be checked out via fine needle aspirate to make sure a more aggressive type of skin cancer is not present. It is impossible to diagnose a lipoma by the way it feels. Catching skin masses early when they are small ensures the best chance for surgical removal and a cure. Once the mass is removed it will be submitted for a pathologist to look at it and determine what type of cancer it is and if it was completely excised. We worry if any of the cancer cells are left behind then the mass can come back or spread to other organs in a process called metastasis. Cancer in animals is not limited to the skin and in fact any tissue in the body can develop abnormal cells. Unfortunately testing for cancers of internal organs is usually more complicated than a quick aspirate. We usually will have no idea something is wrong until a patient develops clinical signs which can greatly vary from vomiting, diarrhea, lethargy, decreased appetite, neurologic abnormalities or collapse. Routine bloodwork and x-rays are a good place to start and can give us valuable information but even if these tests are completely normal it does not rule out cancer as a possibility. In order to obtain a diagnosis further testing with ultrasound, surgical biopsy or MRI is often necessary. Another frequent feeling my clients express is that they would not pursue chemotherapy as a treatment option. I completely understand why people feel this way but it is important to clarify that treatment with chemotherapy in animals is much different that it is in people. When treating cancer in people the goal is to cure by completely eradicating all cancer cells. This results in blasting patients with drugs that make them extremely sick. This is not our goal with cancer treatment in animals. We aim to eliminate the majority of the cancer cells which will prolong life but ultimately not result in a cure. By using this approach we can reduce the dose of chemotherapy drug in order to decrease the likelihood of causing side effects. Unlike in human medicine we do everything we can to avoid making our patients sick, we strive to prolong life but at a high quality of life. What many people are not aware of is the concept of comparative oncology. Companion animals are an excellent source for learning more about cancer in people. They exposed to many of the same environmental risks as we are and since cancer in pets occurs in years as opposed to decades with people we can gain information much more quickly. By studying the behavior of cancer in dogs and their response to treatment we learn valuable information about cancer in people. This information is not obtained through animal testing as these studies are done in animals that have naturally occurring cancers. If you are interested in learning more I encourage you to visit the Morris Animal Foundation’s Canine Cancer Campaign or the 2 Million Dogs’ website.